If you are a owner dog, there are many problems which need your help from training your dog to speak to choosing dog food (whether or not your dog can eat cheerios, white chocolate, shrimp, beans, red or green peppers and so on) especially its health is the most important thing you have to pay attention more than others. Heartworm is a parasitic roundworm which resides in the heart or lungs of the host that causes dirofilariasis or even leads to death. It only takes a mosquito bite and can spread from host to host. Although this disease may hurt cats, ferret even humans (rare cases), dogs are mainly its object. Therefore, if you are an owner of a dog, you should be more conscious about best heartworm prevention for dogs. It's easier to prevent heartworm compared to cure. Most of the treatments are quite challenging to do. I am also a dog owner, so today I'm here to go over with you what kind of drugs and ways are available to prevent heartworm. Related Topic: Why do puppies cough? 1 What's the best heartworm prevention for your dog? What's the best heartworm prevention for your dog? How much money can you spend to buy heartworm medication? Determine whether or not it has any allergies then which ingredients in heartworm medication you have to avoid? Can you make a regular schedule of heartworm medication for your dog? Is your dog at danger for exposure to other types of parasites? If you can't make a regular schedule, taking oral tablets is the easiest way to administer your dog's medication. Some dogs have a tendency to refuse any kinds of medications, so it's best to wrap your oral tablet in a ball of very delicious food like cheese and other wet foods. Oral products typically contain either ivermectin or milbemycin as the active ingredient. Most oral heartworm medications have more than one function. Some will not only kill heartworm larvae, but will also eliminate internal parasites such as roundworms, hookworms, and/or whipworms. There are also oral medications that includes ingredients that also work to eliminate fleas by stopping them from producing live eggs. Oral heartworm medications are administered once a month and the best way to get your dog to take the medication is to wrap it in one of it's favorite treats such as cheese, deli meats, etc. 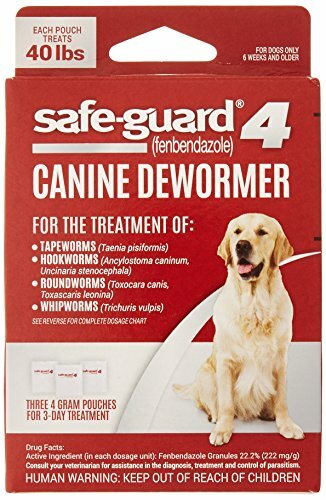 Because the main ingredients include Pyrantel Pamoate and Ivermectin, aside from heartworm, it's also very ideal to prevent roundworm and hookworm. The dosage of Heartgard Plus is monthly. This kind of medication is produced with a unique shape and flavor - beef-flavored chewable cube. If you are a dog owner which doesn't love medicine, this is an excellent solution. Your dog will considered it as a reward. In some places in the world, Heartgard Plus may be a product which comes with warnings staying away herding breeds such as shepherds, and collies due to its genetic sensitivity to ivermectin. Nonetheless, although this sensitivity relates to the deletion mutation of the mdr1 gene, it just happens with a pretty high dosage such as the use of mange treatment and stimulation of a reaction. Apart from heartworm prevention, the main ingredient in Interceptor - Milbemycin oxime is one of the medications to help hookworm, roundworm, and whipworm. The dosage of the Interceptor is monthly. As a palatable medication product, Interceptor is chewable pills which are smaller than Heartgard Plus. According to feedback from previous buyers, their dogs love the flavor of this type of medication. 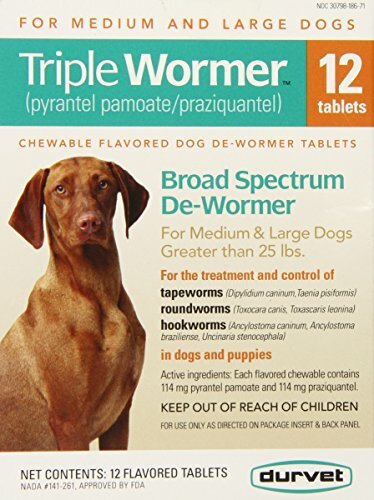 With the main ingredients including Pyrantel pamoate and Ivermectin, this is an excellent choice for heartworm, hookworm, roundworm, and whipworm. The dosage of Tri-heart is monthly. As another generic form of Heartgard Plus, this is a cheaper option with the same ingredients. Thus, if the value of money is what you care about, Tri-heart is a beautiful product available on the market. The main ingredients include Milbemycin Oxime and Spinosad. Its dosage is monthly. More than other products, Trifexis can prevent not only heartworm, hookworm, roundworm, whipworm but also fleas. The uniqueness is that it is heartworm and fleas prevention that makes your care easier. However, this potent drug should make you cautious about allowing your dog to use. Apparently, Trifexis can kill the terrible parasites, but it is also the reason which causes an upset stomach. Topical heartworm preventive medications are available for both dogs and cats. These medications are applied monthly to the back of the next or between your pets shoulder blades on the skin where they can't lick. Not only do these medications prevent heartworm they also kill flea larvae. Therefore, if you would like to use topical liquids, I strongly recommend you do some research to know how to administer properly before anything else. 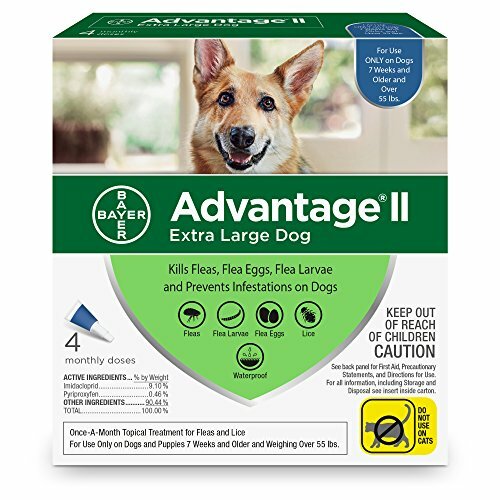 Imidacloprid and Moxidectin are 2 main ingredients of Bayer Advantage II for Dogs Like Trifexis, it can prevent heartworm, roundworm, whipworm, and fleas, the dosage is monthly. As the name suggests, it can control multiple parasites which are both external and internal. So there is no need to worry about the options of different medications for different problems. This is the various medications. Aside from benefits, Advantage Multi also gets some rare drawbacks such as irritation, sensitivity, and neurological reaction in the hypersensitive dog. Selamectin is its main ingredient. What revolution can prevent is ear mites, scabies, ticks, fleas, and heartworm, of course. Like others, the dosage is monthly. If you own a cat, this is an ideal product which comes with many advantages. With dogs, to get the best outcome, the medication must regularly be applied without being missed. Thus, combining it with oral medication (Heartgard or Interceptor) is a wise idea. This is an excellent choice for owners who are in a busy lifestyle. If a monthly dosage can't be applied because of your schedule, make a purchase of injectable heartworm medication. ProHeart - the only injectable heartworm medication is available on the market. Moxidectin - its main ingredient is useful in heartworm and hookworm prevention. The dosage of ProHeart is 6 months. Though this is very convenient, not all dogs can use. Keep your dog away ProHeart if it is old or allergic to one of the ingredients in ProHeart. You had better have an appointment with your vet to make sure your dog suits with this kind of medication. Important note: Whether or not you intend to use Injectable, having an appointment with your vet is a must. He or she will let you know if your dog has heartworm and provide some advice about heartworm prevention. Keep in mind that prevention is easier and cheaper than treatment so as a dog owner, you have to be preparationed to look for best heartworm prevention for dogs. First, make an appointment with your veterinarian then choose a suitable medication to apply. If you are busy, think about ProHeart and Oral medicines. In general, all medication mentioned above can safely be applied to your puppy to control heartworm. Have you tried other options for heartworm prevention? Was it effective? 8 Surprising Signs Of Anxiety In Dogs! Can Dogs Have Pepto Bismol? What You Need to Know!